The diversion safes let you hide your valuables in plain sight without drawing attention to them. These look real, can be right in front of you, yet you wont think them to be safe or holding anything valuable. On the second thought, if you do have anything that's really valuable then it would be wise to invest in a good safe locker to keep it secure and protected. 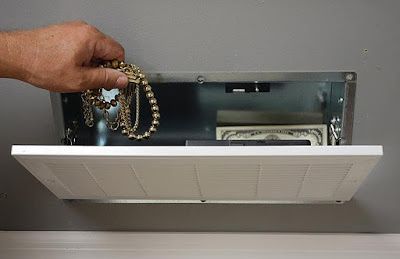 Air Vent Hidden Safe With RFID Lock: The Quick Safe air vent hidden safe uses Radio Frequency ID cards to keep your valuables safe and secure. It looks like an HVAC vent so it blends into any wall, and effectively hides your valuables in plain sight. Buy Now: $219.99. 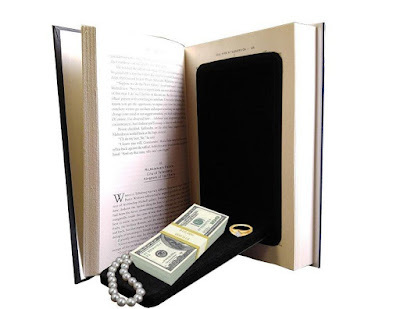 Book Safe: The book safe looks like any other hardbound book, but it reveals its secret safe once you open it. An authentic hardbound book with actual printed-paper pages is hollowed out and fitted with a secret safe. It's perfect for hiding small valuables, such as jewelry, keys, cash, credit cards, and more. Its internal storage space measures 6.5" x 3.5" x 1" and the exterior measures 9.5" x 6.5" x 1.5". Buy Now: $13.95. 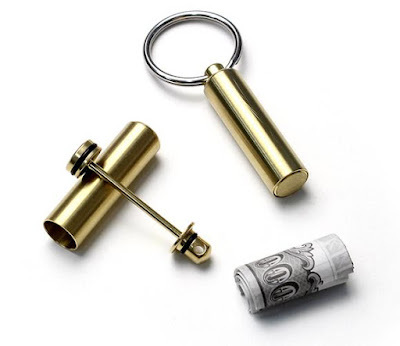 Cash Can: All you need to do is fold the dollar bill, place it around the internal rod, close it, attach it to your keychain and forget about it until you lose your wallet and you need money immediately. Buy Now:. 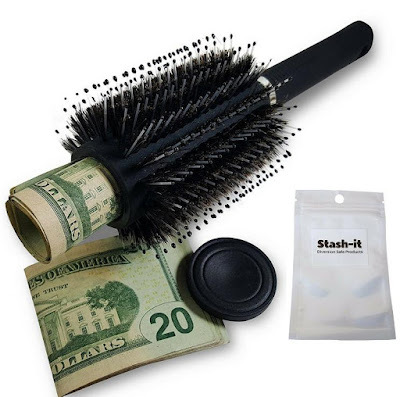 Hair Brush Safe: The Hair Brush Safe looks like an actual hairbrush, but it comes with a hidden safe for your valuables that you can secure in your home or on the go. The special safe measures 1.25 inches wide, 4.5 inches deep, is perfect for on the go or home, and won't draw attention to your valuables. Buy Now: $10.95. 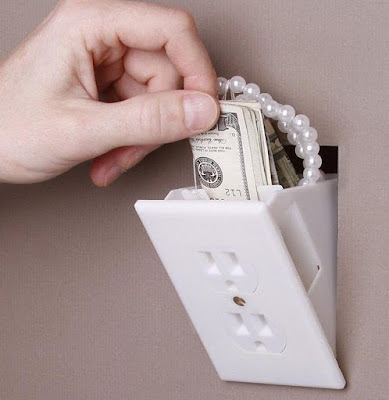 Hidden Wall Outlet Safe: The Hidden Wall Outlet Safe looks like an electrical outlet, comes with a template that makes it easy to install; just replace the outlet cover with this safe. 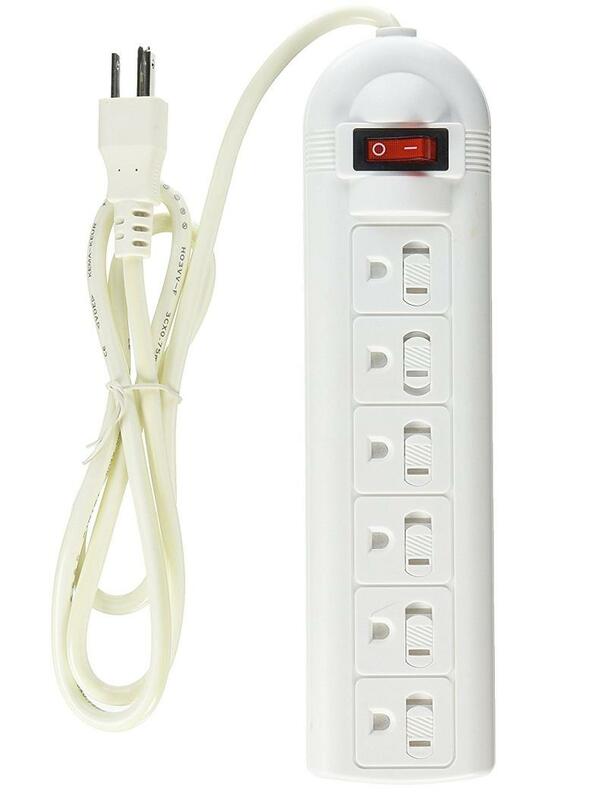 It has a storage area measuring 7" x 2 1/2" x 2; you can store your money, jewelry, valuables in the electrical outlet wall safe. Buy Now: $8.83. 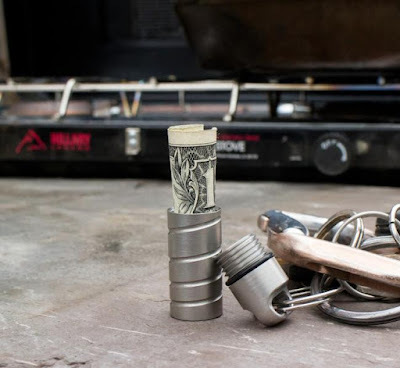 Key Safe: The Key Safe is a portable steel container for storing cash, or other small valuables safely on person. 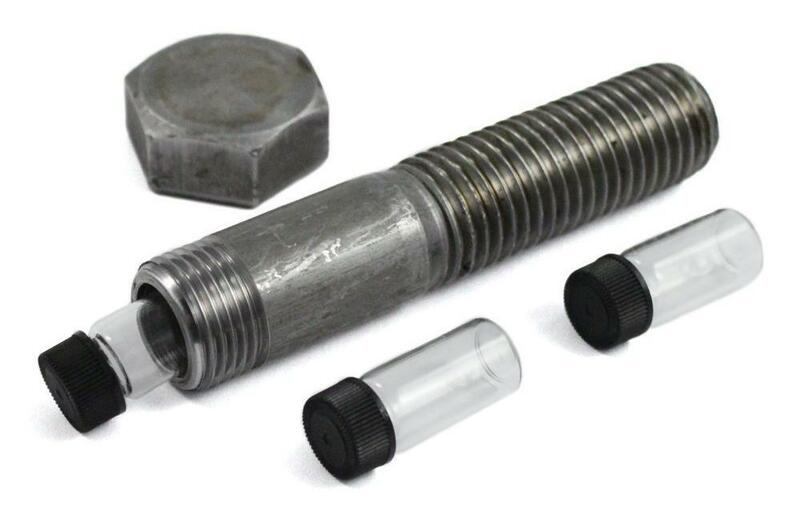 Its waterproof, can be attached to your keychain, measures 1.84"H x 0.475"D inside, 2.25"H x 0.625"D outside, and comes in natural stainless. Buy Now: $ 24.99. Pillow Safe: The Pillow Safe is your personal pillow that comes with a secret safe; it features a patent leather pouch within the pillow that holds your jewelry, passports, and other valuables. The hidden pouch is secured by powerful magnets that close shut automatically. Buy Now: $28.99. 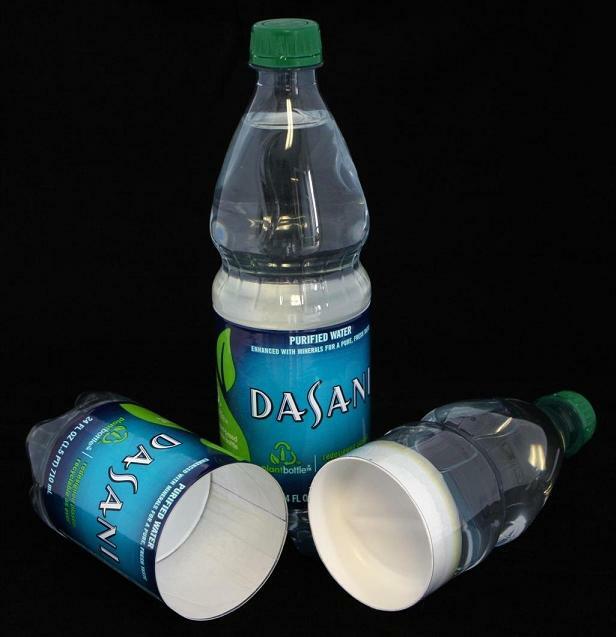 Bottle Safe: The Hidden Bottle Safe is perfect for hiding your valuables in plain sight. It looks realistic, and is even weighted to feel full. Buy Now: $14.67. 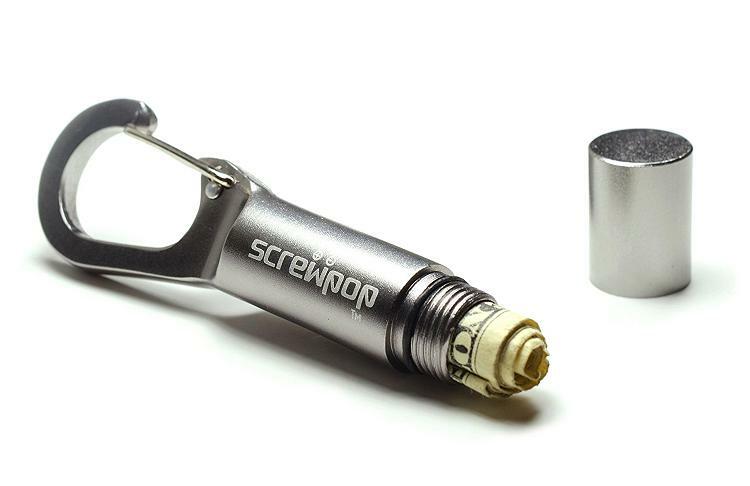 Screwpop Travel Stash Keychain: The Screwpop Travel Stash Keychain keeps your cash or other small valuables safe. It features clip that easily attaches onto a keyring, carabiner clip, paracord, belt loop and more. It also doubles as a bottle opener, measures 1/2" x 1" x 3 1/8" and weights approximately 0.75 ounce. Buy Now: $8.75. Hide a key Rock: Hide a key Rock looks like a real rock and this one hides a key in plain sight. 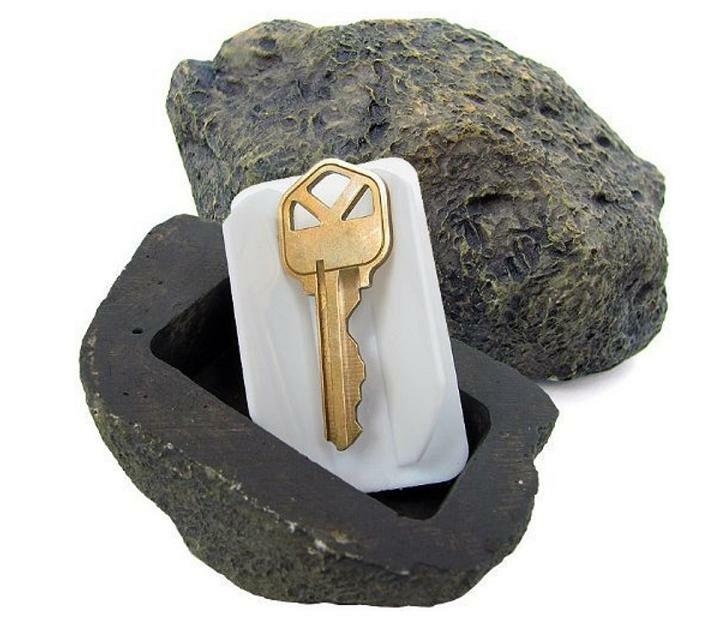 Just place your backup key into this rock outside in your garden, lawn etc in plain sight so you or your family members are never locked out. Buy Now: $6.99. Pringles Can Safe: The Pringles Can Safe is perfect for hiding your valuables in plain sight, it comes with real chips inside, gives out realistic sound when shaken and looks realistic too. Just put your valuables in the can, and put it in your closet, it won't draw attention to your valuables. Buy Now: $11.99. 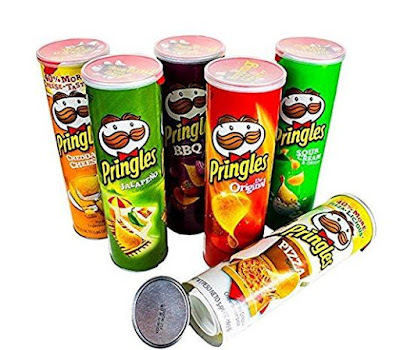 Can Safe: The Can Safe gives you another option of hiding your valuable in plain sight, just put your valuable in the can safe and put it in your fridge along with other soda cans and you are done, it wont draw any attention to it. Buy Now: $8.75. 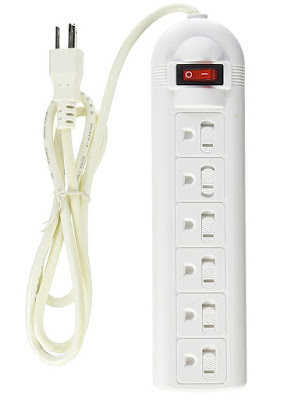 Surgeprotector Hidden Safe: The Surgeprotector looks real but it isn't, it comes with a hidden safe that you can use to store your valuables or other things that you don't want others to find. Its on/off switch glows red using Double A to give even more authentic look. 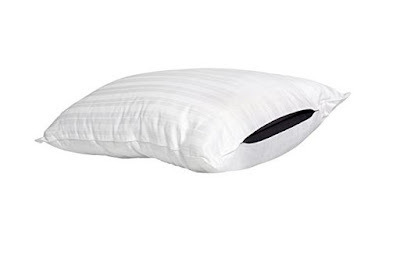 Buy Now: $21.39. Secret Container Bolt: The Secret Container Bolt is made from a real ¾" machine bolt, comes with O-ring seal for weatherproof storage, is perfect for securing small valuables in plain sight. Buy Now: $24.59. Sprinkler Head Key Holder: Sprinkler Head Key Holder looks like a real sprinkler head, has storage space for your key, you can place it in your lawn etc., in plain sight so you or your family members are never locked out. 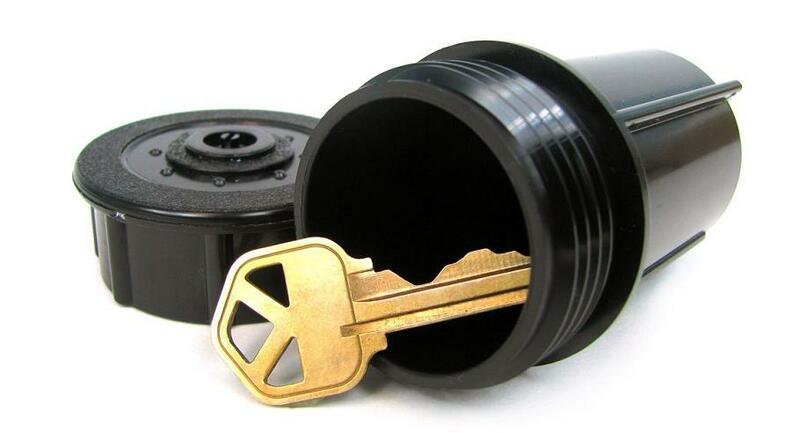 It's made from a real sprinkler system head, is waterproof, virtually indestructible, and has enough room for keys, money, or a small document. 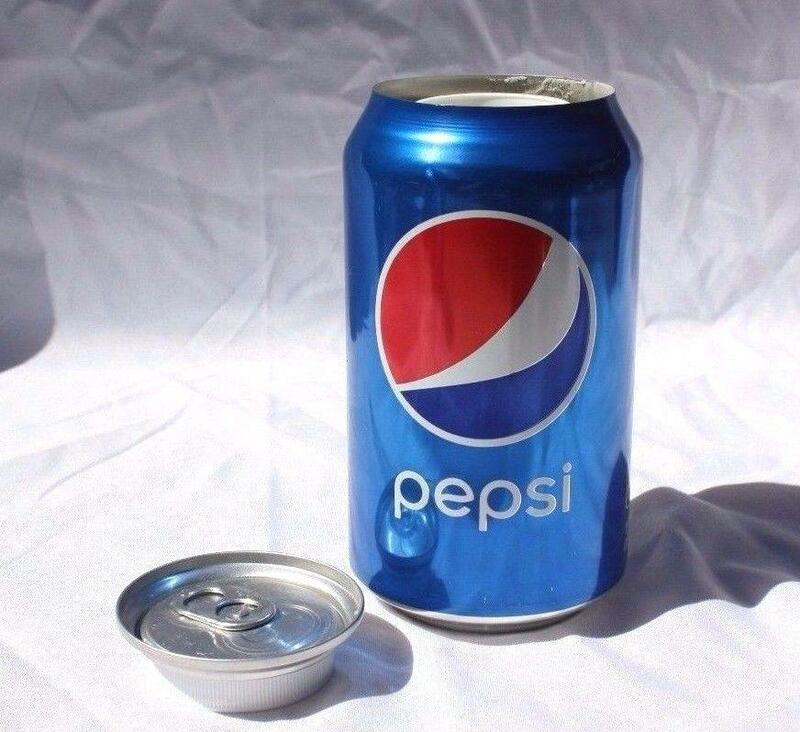 Buy Now: $7.38.